Summer L. Williams took audiences on experimental adventures in multiple plays in 2016. But let’s try to be optimistic. Heaven knows we all need something to look forward to after a year when the cultural losses just kept coming, one after another, right till the very end. I’m hoping that 2017 will go even further in showcasing the talents of female directors on Boston-area stages than 2016 did. At a time when gender parity is a topic of intense concern in theater circles locally and nationally, it was heartening to see that some of the most consequential or memorable productions of the year were helmed by women. Further adding to the visibility of women directors were Bridget Kathleen O’Leary (“Blackberry Winter’’), Diane Paulus (Eve Ensler’s “In the Body of the World’’), and Elaine Vaan Hogue (“Baltimore’’), along with such visiting directors as Natsu Onoda Power (“The T Party’’), Judy Hegarty Lovett (“Here All Night’’), Maria Aitken (“Bedroom Farce’’), and Claire van Kampen (“Nice Fish’’). Moreover, the most urgent, visceral, and arresting productions I saw in the Berkshires over the summer were directed by women, including Shakespeare & Company’s “Ugly Lies the Bone,’’ helmed by Daniela Varon; Barrington Stage Company’s “Peerless,’’ directed by Louisa Proske; Julianne Boyd’s production of “American Son,’’ also at Barrington Stage; and Anne Kauffman’s production of “And No More Shall We Part’’ at Williamstown Theatre Festival. To be sure, appearances can deceive, so jumping to conclusions about a breakthrough year for women directors would be ill-advised. Only a comprehensive survey can ascertain exactly what percentage of 2016 productions in the Boston area were directed by women. 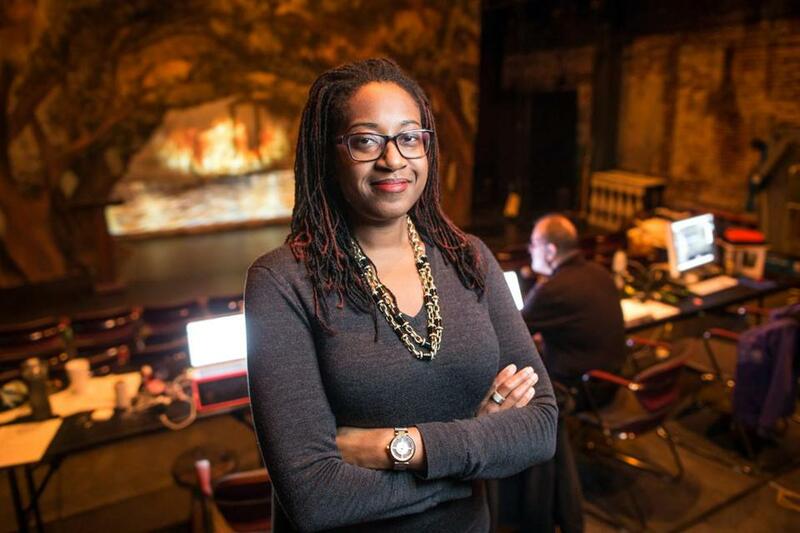 When the nonprofit theater-service organization StageSource conducted a study of the 2013-14 season, it found that male directors greatly outnumbered female directors. Also high on my wish list for 2017 is a fuller representation of the Asian-American experience onstage. The Pew Research Center describes Asian-Americans as “the highest-income, best-educated and fastest-growing racial group in the U.S.,’’ but you wouldn’t know it from the sparse number of theatrical productions that seek to tell their stories. In 2016, though, there were a few flickering indications of progress. Among them was Mike Lew’s “Tiger Style!,’’ at Huntington Theatre Company. Lew’s comedy explored, in a greatly exaggerated but still resonant way, the burden imposed on Asian-American millennials by cultural and familial expectations of unbroken success. I’m eager to see if New Repertory Theatre can sustain the balancing act that was so successful in 2016 and that has made the Watertown-based company a potent force in the realm of midsize theaters. Petosa also stepped up to provide a home for a production, in association with Stoneham Theatre, of “Regular Singing,’’ the fourth and last of Richard Nelson’s remarkable cycle of Apple Family plays, each of which unfolds on a significant national milestone. Kudos to Stoneham Theatre for its commitment to the plays — a commitment that extended to featuring the same core ensemble of actors in all four productions. More Boston-area theaters should make that kind of deep dive into the work of a single playwright, whether in one season or across multiple seasons. One playwright whose work would certainly reward that kind of commitment is Edward Albee, who died in September. Lyric Stage Company is starting 2017 with Albee’s “Who’s Afraid of Virginia Woolf?’’ To be directed by Scott Edmiston, it will star Steven Barkhimer and Paula Plum, two of Boston’s best, as George and Martha, the bitterly battling married couple at the center of the play. At a time when gender parity is a topic of intense concern in theater circles, it was heartening to see that some of the most consequential or memorable productions of the year were helmed by women. But Spyres resurfaced in Boston in 2016 to star in Lyric Stage’s “Company’’ and “Peter and the Starcatcher.’’ Meanwhile, De’Lon Grant, another rising young star who’d been away, returned from a nearly four-year-long tour with “Jersey Boys’’ to portray a key figure in SpeakEasy Stage Company’s “The Scottsboro Boys.’’ Beginning this weekend, SpeakEasy is remounting that fall production. Should auld acquaintance be forgot? Not when they’re as talented as Grant and Spyres. What they — and we — deserve is an encore. In 2017, we’ll get it.